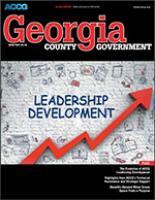 Georgia County Government magazine serves as the state’s leading publication for news of interest to Georgia counties through features on specific programs and services as well as best practices and trends. Produced quarterly by ACCG, Georgia County Government magazine has a print and digital distribution of over 3,000 individuals, including county elected and appointed officials, state and federal legislators, state and federal agency heads, association partners and others. This Quarter’s Cover Story: The Evolution of ACCG Leadership Development. 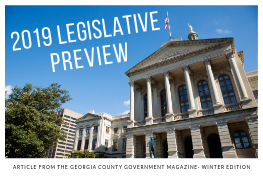 Get a glimpse of the association’s 2019 Policy Agenda and Legislative Priorities the ACCG policy team will advocate for on behalf of Georgia’s counties during the upcoming legislative session. Georgia’s Timber Harvest Notification System has a number of benefits for those directly involved in the sale, harvest and receipt of timber. 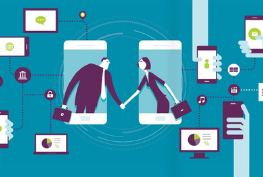 Learn how the system produces a win-win for local governments. Many local governments own green space commonly used for parks or community gardens but many county-owned green space areas go undeveloped or unused. 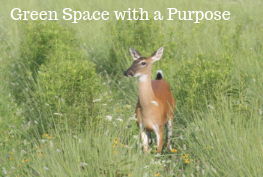 The Wildlife Resources Division at the Georgia Department of Natural Resources can help turn unused spaces into areas that benefit the county and its community. Read the article to find out how. ACCG provides assistance and recommendations to counties on a wide range of issues and topics including Service Delivery Strategy negotiations, reviews of county budgets and financial matters, just to name a few. This article highlights how ACCG assisted a number counties in such areas.